Instagram has slowly grown to become one of the world's most used picture sharing sites. 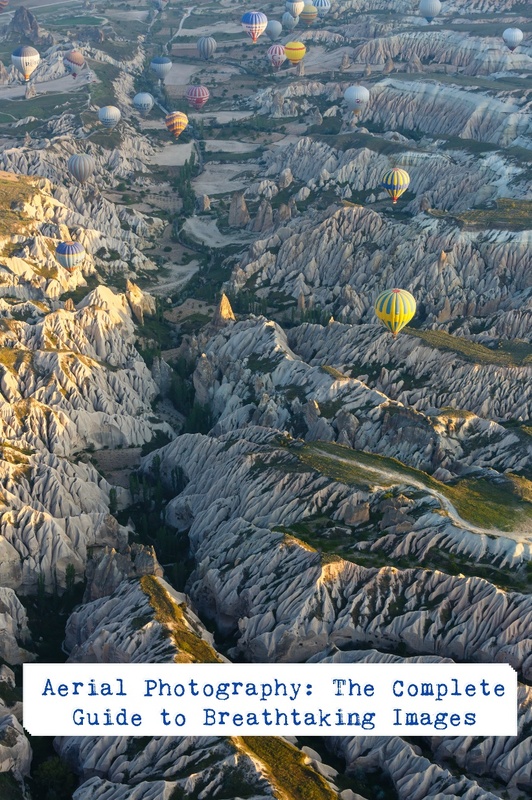 Allowing anyone with an account to upload pretty much anything they manage to photograph, but have you ever wondered what some of the most 'Instagrammed' places and Landmarks in the world are? Well now you know..
*The number of posts for each hashtag will change daily due to new uploads. Figures were correct at the time of posting. It's crazy to think that we're already three months into 2017 already. To celebrate we thought we'd put together a list of the "Top 24 Photography Blogs to Follow in 2017". We looked through almost 100 of the top photography blogs online and as much as we'd have liked to just list them all (they were all amazing), we had to narrow them down! So, here, in no particual order are our "Top 24 Photography Blogs You Should Follow in 2017", be sure to check them out and see what they have to offer. Drones are becoming increasingly more popular. However technically the remote control multi rotor devices are not drones. They are Remote Piloted Systems, Unmanned Aerial Vehicles or Unmanned Systems, better known as the acronyms; RPS, UAV, and UAS respectively. Technically Drones are remote piloted small planes used by the military for surveillance and weapon deployment. However, the name drone seems know irrevocable linked with these smaller multi-rotor devices. But we will continue to refer to them as drones in this article. Drones and the specific equipment such as cameras and accessories have become more and more affordable, which means now you can own, pilot, and shoot pictures and videos with your very own drone. They come in all shapes and sizes, from toy drones to professional ones used for filming breathtaking scenery for wildlife documentaries and Hollywood films alike. 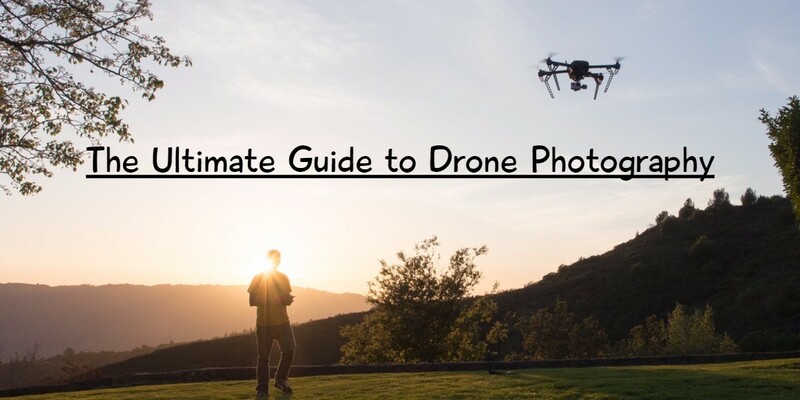 This guide comes in handy for beginners who are just starting their drone photography career, as well as for experienced drone photographers who need to stay informed about the latest discoveries and accomplishments in aerial photography. Following the interested and success of our last infographic, we are following up this month by looking at the world of CGI and animation: the difference between the two, their orgins and its prevelance in the UK. As always there are a ton of interesting facts and stats, for example did you know that Uk independant films had over 3% of the global box office?? No neither did we, not bad eh! Any way take a look down our graphic and let us know what you think on Facebook or Twitter. Subtitles are great, they help viewers around the world enjoy popular TV series, shows, and movies. Good subtitles overcome language barriers and make characters and movies universally known and loved. But there are times when subtitles fall a bit short of the mark, leaving viewers baffled and confused. Sure, it can be frustrating for movie lovers to notice that some things get lost in translation. On the other hand, some subtitle fails are so hilarious you can’t even be mad at them. 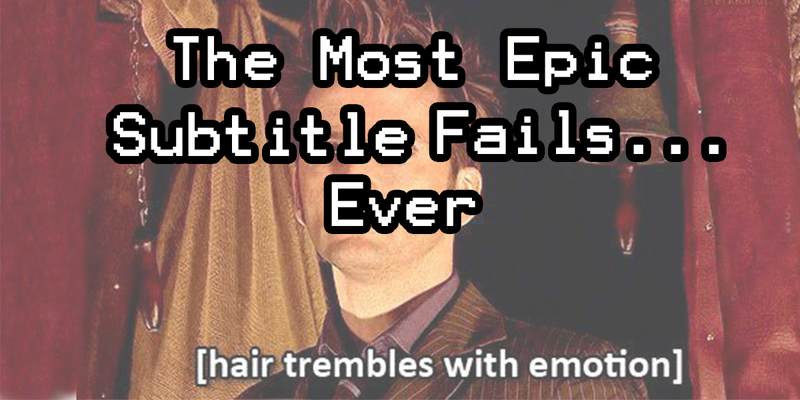 To help you look on the bright side of bad subtitling, we’ve put together the most epic subtitle fails that have ever been caught on screen. Whether you look at big movie franchises, popular TV shows, or news channels, you’ll find that one bad subtitle to rule them all. 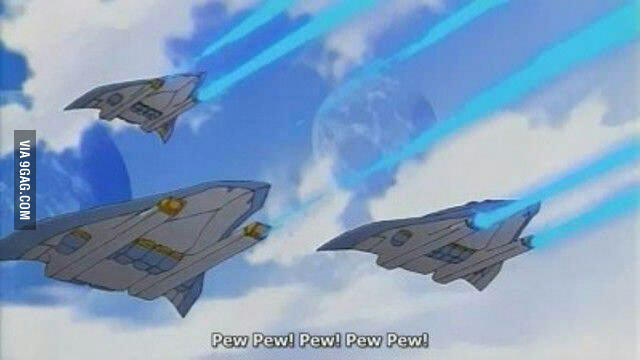 Without further ado, let’s count down the worst subtitles that the internet has ever based memes on. Stay Inside Today, Ok? Don't Ask Why, Just Do It! WTF Did She Just Say? Gandalf, Did You Spike Bilbo's Pipe Again? What Kind Of Cooking Show Is This? Captain Obvious would be proud of this one. Well, at least it’s not because they didn’t try. Although this one is probably a fan-made subtitle, you have to admire the commitment they had when they made it. Not everybody speaks “spaceship”, ok? Many photographers will insist that lighting is the focal point of photography. Filmmakers may tend to agree, especially since there’s nothing more pleasing to the eye than a perfectly fleshed out scene. No matter how good you are at conceiving a story, filming it and then producing it, if you don't know anything about lighting, you’re doing yourself a disservice. After all, sight is one of our great assets, and human eyes are nothing more than organic lenses. Like all lenses, our eyes focus the light available so that it can be translated into an image by the brain (and its amazing software). This is where lighting comes into play. And there is no way to exaggerate its importance, as any professional video production company knows. Any light kit, even an inexpensive one or a DIY one, will make a world of difference as opposed to having no kit at all, and not being able to use your extra lights to control the scene as necessary. 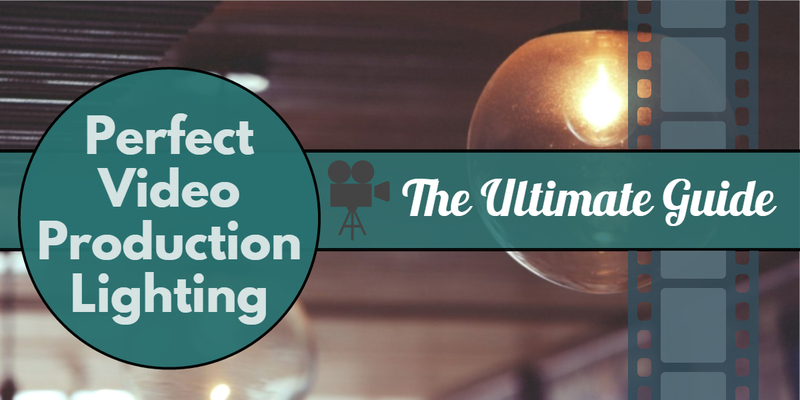 Our Ultimate Guide to Production Lighting will start you off light, with some basic theoretical concepts of optics and photo/video lighting. The notions covered include Colour Temperature, the Colour Rendering Index, and White Balance. If you’re already accustomed to these, feel free to skip ahead, to some applied knowledge on the main types of lighting methods in use today. We illustrate three-point and four-point lighting, as well as the McCandless approach. Finally, we offer some pointers on how to choose your equipment, based on its main features and the basic types on the market. That being said, we hope you’ll enjoy and come out at the other end ready to shoot your masterpiece! Visual effects can make or break a movie. If done poorly you wind up with an ultimately unconvincing film in which the filmmaker has failed to bring the stage, its inhabitants and the action they’re involved in to life. But if done correctly or even masterfully you wind up with, well, the films mentioned in this list to be honest. 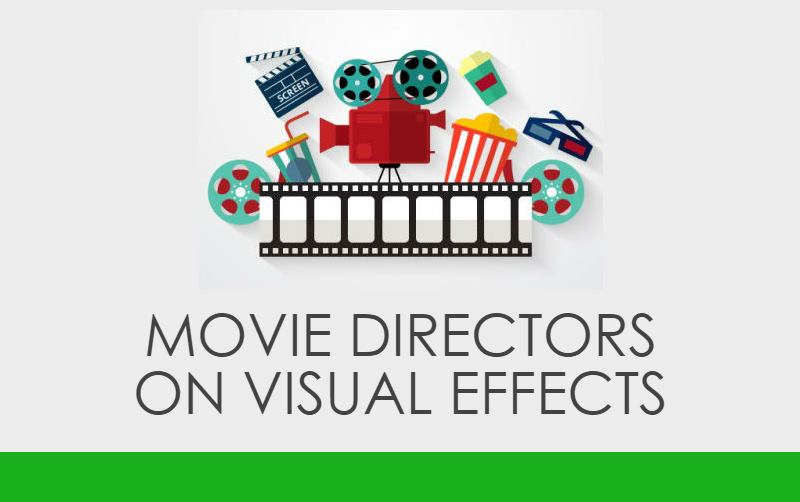 We have all been blown away at times by the visual effects delivered by movies that span a variety of genres from Sci-Fi to Fantasy to Action to Horror. And we all no doubt have our own opinions on the movies that feature the best visual effects of all time. But we wondered, what to do the guys that actually make the movies think? Movie directors are obviously a lot more qualified than you or I to judge the level of competency when it comes to visual effects in a film, unless you happen to be a member of the Academy of course. The response we received from these directors was nothing short of amazing. Be prepared for an exclusive insight into the world of filmmaking. It’s time to find out which films the experts believe feature the very best visual effects of all time. 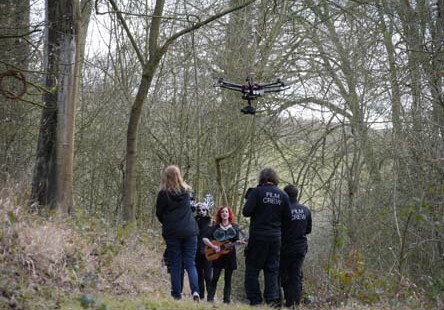 Meadows Farm Studios were pleased to be asked to shoot Megan's first music video. 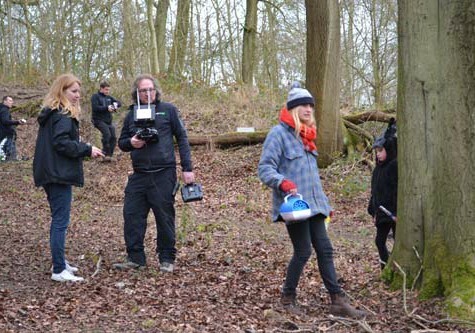 Richard, the owner of Meadows Farm Studios, has known Megan for a long time and Claire Tailyour once did work experience at Meadows Farm Studios but this was the first time that Richard had worked with both Megan and Claire together. 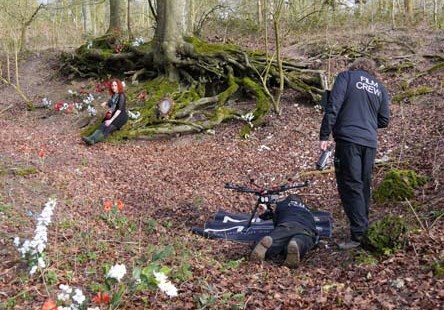 Claire's vision was to shoot Megan in a mystical woodland setting surrounded by sprites and magical creatures and claire wanted this to be shot on an aerial drone. Richard and his drone operator Russell Cleaver had to shoot in difficult conditions as the woodland setting by its nature had a very low tree canopy. Typically drones do high aerial work where there are no obstructions, so Richard and Russell had to be extremely careful flying in close proximity to trees and people, with the added difficulty of walking through an uneven, muddy footpath. It was shot "day for night" which means that although it was shot during the day the camera settings made it look moonlit. It was intensive and complicated shoot, lots of elements had to come together including dancers, musicians and the art department but the end result is impressive with the telegraph taking up the story. We wish Megan every success in her ever increasing music career. our founder, Richard Pinches, is having his first photographic exhibition in 30 years. You are invited to meet the 5 photographers at the opening event Saturday 25th July 2015, 12 midday - 3pm. Reading: A Start and a Return features the photographic work of five photographers who met and studied together at Berkshire College of Art and Design, King’s Road, Reading from 1983-1985. 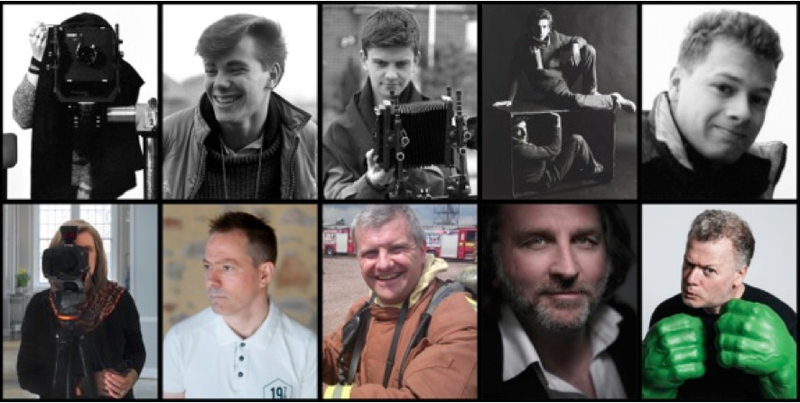 On this, the 30th anniversary of the photographers being turned out from BCAD to begin their careers, the 5 decided to hold a reunion photographic exhibition. A chance to reflect back at Reading, photography and each other and contemplate where it all ended up three decades later. Reading: A Start and a Return. The five photographers have produced a photographic meditation on time, place, relationships and photography itself. Tanya moved to Reading from the Midlands at 15 and joined Berkshire College of Art and Design straight from school. During college she assisted studio photographers in Reading and London and also worked at Snappy One Hour Photo Lab in Woolworths! Her first full time photography job was as staff photographer with the Wokingham Times and Reading Standard newspapers. Tanya left Reading to see the world working along the way as a travel, studio and editorial photographer. She is currently a Senior Photographer for the NYPD and freelances with the Met and Guggenheim museums. Tanya’s personal work centers around the built environment and for fun she is studying for a Masters with the Open College of the Arts. Working with the basic premise of then and now, Tanya has dipped into her photographic archive to explore time, distance, technology and relationships. For this exhibition Tanya has chosen several photographs of Reading residents from thirty years ago and has made new photographs in New York using today’s photographic technology. In addition a small series of postcard sized images contrasts Tanya’s two homes; the Reading environment she photographed in the eighties and the NYC environment she photographs now. Darran’s photographs portray the quieter side of life in the emergency services rather than the headline grabbing emergency calls. As part of his firefighter duties Darran also provides fire cover for air shows, air displays and for aircraft carrying out parachute training for the MOD. These events add an exciting facet to his career and provide many photographic opportunities. For this exhibition Darran has created a montage based on bringing a project Richard did at BCAD 30 years ago up to date. Richard explored people's personalities by photographing the inside of their glove compartments in their cars. Darran has brought the original idea to the fire crews' locker room where he has photographed the insides of his fire crews locker doors! Each one unique and fascinating to compare. and Richard realised still life and product photography would be his forte. After college Richard worked again for Howerd honing his skills further until he branched out as a photographer in his own right at the tender age of 21. He quickly set up his own Meadows Farm studios only 2 years later, where he is still heavily immersed in the digital world of photography. Dave Willis came to Berkshire College of Art and Design as it was his nearest local full time photography course after leaving 6th form college in Henley. His admission interview consisted of standing on a table and demonstrating the front crawl. For the last 30 years he has worked as an editorial photographer shooting for record companies, magazines and newspapers. He has shot everyone from The Red Hot Chili Peppers to Michael Jackson. Over the years he has been accused of looking like Rick Astley, endured the mayhem of the summer festival circuit and has survived several Westlife concerts. As well as musicians he currently shoots actors and TV personalities for printed and online media. He maintains he looks nothing like Rick Astley. Having left Berkshire College of Art and Design, Dave initially shot on monochrome film and colour transparency, and as client's requirements have changed, for the last 10 years, purely digitally. Technology has played a major part in image capture and also the distribution of images. For this exhibition Dave wanted to show some of his favourite images from the last 30 years of his career reflecting these gradual changes. WHO: All welcome. Any skill level, any age. Children accompanied by an adult. WHEN & WHERE: Meet at the Turbine House. Tanya invites you to join her for 3 photo walks around to create images for yourself and add to her archive entitled Postcards of Reading, 2015. Taking inspiration from her images in the 1980s, we will forgo the usual cliched subject matter of the Hexagon, churches & narrow boats and focus instead on the actual experience of Reading that we encounter when walking through it. The resulting postcards will feature in a one day pop up exhibition at the Turbine House on the last day of Reading: A Start and a Return. WHO: All welcome. Any skill level, any age, any camera. Children accompanied by an adult. WHEN & WHERE: Meet at the Turbine House. Time: 7.45am Each walk will finish at 10am. Sunday 26 July, Wednesday 29 July, Saturday 1 August. Choose any or all dates. Pop Up Exhibition: Set - up Saturday 8 August 8am. Pop up exhibition opening 10am. Can't make it to the photo walks? Just mail your photograph(s), as a 4" x 6" postcard with your name, postal and e mail address and a brief thought on Reading on the back to: Tanya Ahmed, POSTE RESTANTE, 21-22 Market place, Reading, Berkshire, RG1 2DQ. Or bring between 1 and 5 of your 4 x 6 photographs on Saturday 8th August. We’ll add a postcard back and display them in the exhibition. All exhibited postcards will be kept for Tanya’s archive. Pop Up Exhibition: Set - up Saturday 8 August 8am. Pop up exhibition opening 8 August 10am. WHO: All welcome. Any skill level. WHEN & WHERE: Postcards by Mail to arrive between 25 July & 5 August - Tanya Ahmed, Poste Restante, 21-22 Market Place, Reading, Berkshire, RG1 2DQ . Pop Up Exhibition: Set - up Saturday 8 August 8am. Pop up exhibition opening 8 August 10am. With cinema becoming increasingly experimental and directors pushing more boundaries in order to get their releases recognised, the title of auteur still only comes to a select few. Deriving from the French word for ‘author’, auteur theory relates to those directors whose filmic catalogue reflects their own personal creative vision. At Meadows Farm Studios we understand how important it is to make a name for yourself in the film industry, just like our top three auteur picks. 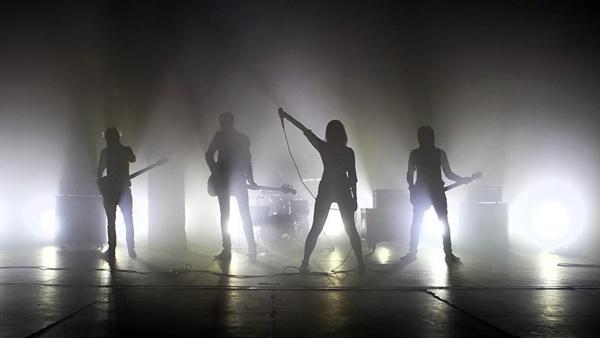 What are the benefits of shooting your video in front of a green screen?